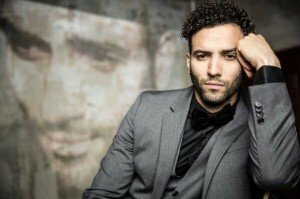 Marwan joins the cast of two international movies THE PROMISE and WHAT HAPPENED TO MONDAY. In THE PROMISE he can be seen opposite Christian Bale and Oscar Isaac. This film follows a love triangle between Michael, a brilliant medical student, the beautiful and sophisticated Ana, and Chris - a renowned American journalist based in Paris. THE PROMISE is directed by Terry George and Marwan plays the son of a diplomat. WHAT HAPPENED TO MONDAY is a science fiction thriller directed by Tommy Wirkola. Marwan can be seen opposite Noomi Rapace and Glenn Close.